Hemlocks Under Attack in Beersheba!!! Read more. 5:30 pm at the Big Red Barn. Pot-luck BBQ dinner. LIVE MUSIC!!! provided by Greg McGee's band "Stoned Door". Opening meeting of the 2018 season Saturday, May 26th at 4 pm at Grace Chapel. Updates on the Shady Valley Addition to the park, hemlocks, and more. Drinks and visit afterwards at Hemlock Hall -- thank you, Stephen Mazza! Meeting Minutes. Grace Chapel, 4 pm. Terry Martin, author of "Love's Young Dream"The Letters of Dr. Edward Noel Franklin to Miss Nannie Hillman ~1871 will present his book (copies will be available). He will be joined by Kenneth Thomson, official Sumner County Historian. Meeting Minutes. Attendees. Parade at 10 am. Fireworks at dusk. Dash to the Door to benefit the Beersheba Clinic. Details here. Barn Dance! at the Big Red Barn. Pot-luck BBQ dinner; 6:00 pm. Grace Chapel, 4 pm. 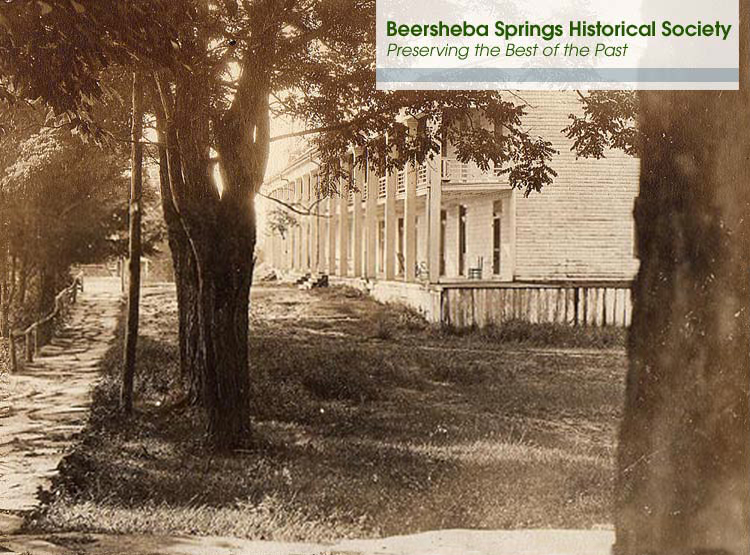 Clopper Almon will share his research on the Chickamauga Trace, including evidence of the route in and around Beersheba. Grace Chapel, 4 pm. Presentation on The Highlander Folk School by David Currey of the Tennessee Preservation Trust. Board meeting follows.